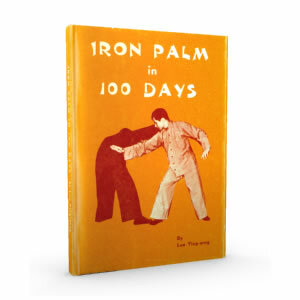 Barbell lifting (Sek Daam) as well as “Chinese kettlebell” training (“Stone Locks”, Sek So) were always important part of Southern Chinese martial arts training. Old Masters clearly understood the importance of getting StrongFirst. Barbell Strength Training for Martial Arts? “In the 1980s, when Soviet scientists measured the strength of high-level karatekas, they were dismayed to find out that these martial artists’ strength was at the level of beginner track-and-field athletes. Since then, Russian fighters have learned their lesson. Today, no one on the full-contact karate scene in the former Soviet bloc is impressed with a double-bodyweight squat. Strength will always be the king in sports. Russian scientists insist that it is strength that is the foundation of all other physical attributes. And don’t let anyone baffle you with the argument that a weak fighter can beat a powerlifter. No one is suggesting that strength is all that matters. You still need the skills, conditioning, and other attributes of a warrior. But everything else being equal, the stronger fighter shall prevail every time. You might be thinking: Does it mean that we should train with barbells? Isn’t bodyweight training or kettlebell lifting enough? What do these kettlebell guys know about barbell training anyway? How is it with Pavel, StrongFirst and barbell? 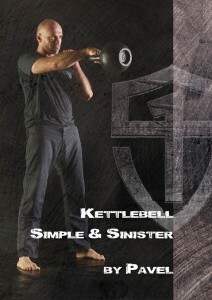 StrongFirst system uses 3 main “weapons”: kettlebell, barbell and bodyweight (not kettlebell only). Pavel’s first book on strength training was dedicated to barbell training (Power to the People). His subsequent works (Beyond Bodybuilding, Power to the People Professional, Easy Strength – co-authored with Dan John) are the prime sources of information on barbell training programs employed in both Russian and American schools of thought. In 2012 Pavel and Andy Bolton joined forces and put together a masterpiece about powerlifts (Deadlift Dynamite) – in May 2014 they will be leading a Superior Strength seminar together in Boston. In the past, Pavel has led seminars with powerlifting greats such as Louie Simmons from WestSide Barbell Club or Marty Gallagher. Many elite powerlifters (apart from the afore-mentioned gentlemen also Donnie Thompson for example) make use of kettlebell exercises as tried and tested assistance drills. An array of StronFirst instructors are powerlifting champions in various federations – even Pavel’s father Vladimir started to compete (and win) in powerlifting (deadlift), at the age of 70! Last year, StrongFirst launched a three-day barbell certification course – SFL StrongFirst Barbell – with an immense reception. SFL Barbell Instructor course is exactly what this article is all about. 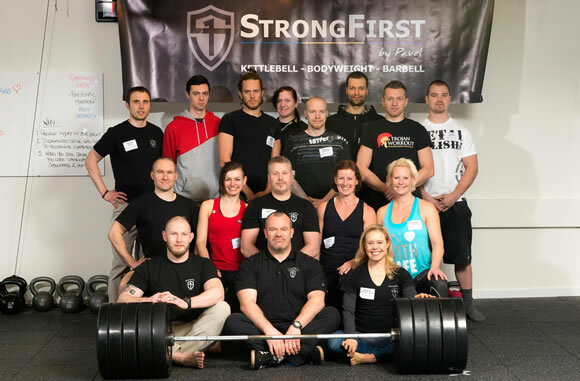 As three of our instructors – Roman Cupera (KB5 Gym Brno), Justyna Mackova (KB5 Gym – Functional training Prague) and Pavel Macek (Practical Hung Kyun/KB5 Gym Prague) – have had the great pleasure of attending SFL Barbell course in Sweden in January this year. Our school is currently the first and only school in the Czech republic powered by all 3 StrongFirst “weapons of choice” (kettlebell, barbell and bodyweight). Without further ado, let’s hear it from Practical Hung Kyun/KB5 Chief instructor, Pavel Macek Sifu! Ladies and gentlemen, dear friends, here is a short report on the SFL StrongFirst Barbell Instructor course. Why barbell? Indeed, most of our students follow basic bodyweight and kettlebell training – however, some of the advanced students follow a simple barbell program (Deadlift, Press, Full Contact Twist) as well and have a great success with the Easy Strength program. I have already been to SFG Kettlebell and SFB Bodyweight Certification in the past, and was amazed by the profundity of the StrongFirst system methodology. For my personal as well as professional education to learn the fundamentals of barbell training was a must. 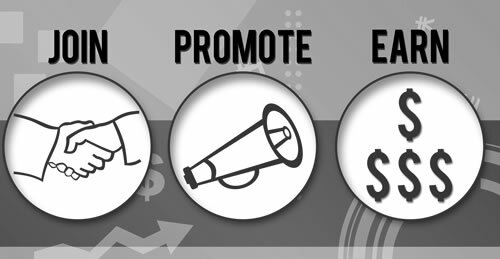 I have laid out five key points for you, the most important findings and notes of not only the preparation for SFL but of the course itself. Whether you are a martial artist, girevik, a powerlifter, or a fan of strength and conditioning training in general, please read on! StrongFirst instructors cadre comprises of top professionals in their respective fields, no doubt about that. In designing the SFL Barbell course Pavel has teamed up with Doc. 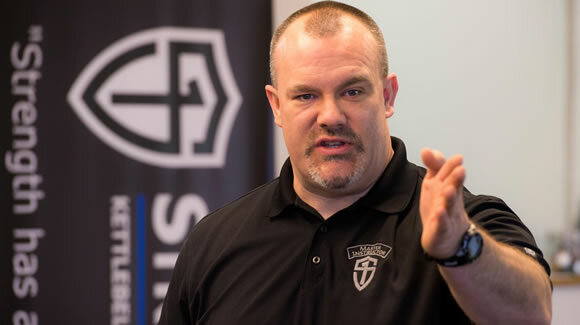 Michael Hartle, Master SFG Instructor, USAPL champion and IPF Team USA Headcoach, renowned physiotherapist and currently also a semi-professional american football player. Doc. Hartle has also led the SFL Barbell certification in Sweden as a Chief Instructor with his assistants being Tommy Blom, Senior SFG/KRav Maga Expert Instructor and Stina Albihn, SFG Team Leader/Olympic wrestling strenght and conditioning coach. It didn’t take long for me to realize why has Pavel joined forces with Doc. Hartle. Top professional, excellent teacher, what else to say. I have to admit he has made a great impression on me, respect! Preparation for any of StrongFirst Instructor courses is a path set more or less in stone. Due to strict requirements one can not afford to take his/her chances and has to prepare accordingly – thoroughly and ahead of time. Roughly a third to a half of the attendees passes the demanding strength, technique and knowledge tests (in Sweden only 5 out of 13 have succeeded). The priorities were clear, kettlebell and bodyweight drills had to be set aside for about half a year – the pistol and one-arm one-leg pushup were only tested once a week; kettlebell exercises were added as assistance and supplementary drills either after practice or on off-days. I have been also extra cautious with my martial arts training – a stupid injury was not an option. In order to be able to attend SFL Barbell one has to undergo at least the 1-day SFG Course (we’ve had the privilige of leading the historically first SFG Course in Czech republic in Prague in January 2014). Along with SFG II, SFL is the most advanced instructor course in the StrongFirst curriculum. SFL Barbell Certification has validated the compatibility and interconnection of all 3 main weapons of StrongFirst system: kettlebell, barbell, bodyweight. Every single exercise was based on kettlebell foundations (Get Up, Goblet Squat, Swing) and so the learning curve has been reduced to a minimum. Once again, Pavel was right on the money with kettlebell being the ideal “intro weapon”. StrongFirst principles of kettlebell and bodyweight training are in fact based on powerlifting blueprints: limited number of complex execrises, the biggest bang for your buck. Kettlebell: Swing, Get Up, Goblet Squat. Bodyweight: One Arm Pushup, Pistol, Tactical Pull-up. Barbell: Press, Deadlift, Squat. Instead of wasting your time with hundreds of meaningless “fitness” exercises performed with x different implements you will be better off with focusing on a handful of proven and effective “weapons” and working on your conditioning and getting stronger. 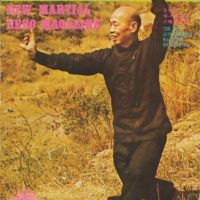 Unlike today’s varied, colourful and shiny “fitness” world the strength and conditioning universe is not an entertainment industry – same goes for martial arts and combative training. SFL Course did an in-depth coverage of these classic lifts: Squat (Zercher Squat, Front Squat, Back Squat), Military Press, Bench Press, Good Morning and Deadlift (both Sumo and conventional). 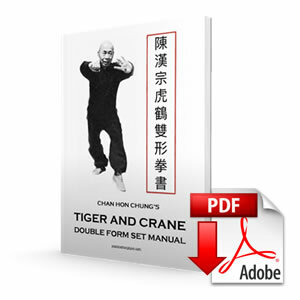 Thoroughly, systematically, step-by-step – some of the exercises had 10 to 15 progressions! On a slighty different, yet basically similar, topic – assistance drills for powerlifst. Doc. Mike Hartle has unequivocally confirmed that in 99% of cases it’s a total waste of time with questionable carry-over and can often even cause more harm than good. Variations of the powerlifts, kettlebell assistance drills, pull-ups? All great. Pulleys of various kinds, machines, dumbbells etc.? (Rather) Not. Ditto for complicated programs. If you’re not a world-class powerlifter and are not training directly under Simmons, Sheyko or Gallagher, stop wasting your time with complicated programs. a) Continuity of the training process = “plan the work, work the plan”. By plan we mean a training program for several weeks or months (!) and not just a single training unit. Dan John says that if you want to be prepared for everything, you will be prepared for nothing. If you’re confused about what your goal is, your body will be – as far as adaptation is concerned – confused even more. We have gone over all basic types of periodization in detail (linear, step, wave…). One of the top coaching cues Dr. Hartle has shared with us was to strive to increase 80% of your 1RM in the long-term. Yes, not your 1RM but the 80% of your 1RM. Genius. Example: If you plateau in bench press, things that might help you include eg. close-grip bench press, floor press, board press etc. A total of five blocks were dedicated to detailed programming. We have thoroughly discussed the principles of training for beginners, slightly advanced, advanced; programs for laymen, martial artists, athletes from various fields and powerlifters; programs for long-term improvement as well as quick peaking ones; muscle mass building programs (ärmor building”); fixing a deteriorating cycle; the principles behind number of reps, sets etc. 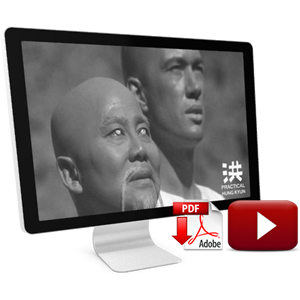 SFL Manual contains over 50 pages of TOP quality programs for all levels and purposes. WOW! Team, Stina, Tommy, Doc, Pavel – thank you. For further information about StrongFirst kettlebell, bodyweight, and barbell courses please visit StrongFirst.com. If you are looking for the TOP minimalistic strength and conditioning program, make sure to purchase Pavel’s new book Simple & Sinister! English translation of the article: Roman Cupera.